Fancy yourself as a professional in your favourite games? Or maybe you’re the entertainer, quick with jokes and can find humour in any game. If you’ve ever thought you might have what it takes to become a success from streaming or YouTube videos of your gaming feats, we’ve got great news for you. If you bought a gaming PC from us, or are considering buying one, and it has an NVIDIA graphics card in it (which is more than 95% of our custom gaming PCs), you can definitely give it a try! Thanks to GeForce’s ShadowPlay software, freely available from the NVIDIA website you can record or stream your gameplay with friends and gamers whether you’re good or bad at gaming. The greatest part about it? It has minimal impact on gaming performance. For more than a decade, arguably the best way to record gameplay on a PC was using a bit of software called Fraps – which unfortunately, even though it was the most well polished, supported and used software for what it achieved, took a bit of a hit on gaming performance to do its job, some suggest it’s an average of 40% decline in frame-rate; a seriously noticeable drop. In the more demanding game titles that you’re already possibly fighting to get good frame rates with, Fraps will require some drastic changes in settings to be viable. Fraps offers you a free version with limitations on the recording (30 seconds only) and settings, a paid version removes these limitations. Dxtory has less of a dramatic impact on your FPS than Fraps does, yet still not as light as ShadowPlay. The place where ShadowPlay really shines in comparison to Dxtory is in the actual recorded footage. Dxtory is also free with limitations (a big watermark at the top of recorded video footage) and paying for the software will remove this drawback. The recorded FPS is also important for editing purposes, especially if you plan to highlight a particular moment in slow-motion, or want a precise still image. If Dxtory was able to record at the full 60FPS, as asked, it would probably be near double the file size. In conclusion then, if you are a power-user and want awesome quality and have a super-speedy (and large) SSD to allow 60FPS recording with Dxtory, then that’s the best option. If however you are just starting out and don’t have extremely high frame rates that you can afford to take a hit on, and not much storage space to chew through, and don’t want to spend hours on end editing, rendering, and processing your recorded footage, ShadowPlay is the best option for you. We feel that the majority of our customers can at least get a feel for the fame and fortune associated with videos of gaming, like PewDiePie, TotalBiscuit (The Cynical Brit), etc. and gauge where they want to go from using ShadowPlay. We probably wouldn’t recommend Fraps under any circumstances, provided you have an NVIDIA graphics card at least. Best of all, ShadowPlay costs you nothing in terms of money. It’s been nearly two full years since ShadowPlay was first released, so it’s not in its infancy. It has two modes it can run in, shadow mode and manual mode. Shadow mode is continuously recording your gameplay, saving the last 20 minutes of 1920×1080 footage to a temporary file; to save it all you have to do is hit the user-defined hotkey. Manual mode acts like traditional gameplay recorders, meaning it starts and stops recording when you tell it. In manual mode you can also customise the recorded resolution, right now it supports up to 4K at 130Mbps. 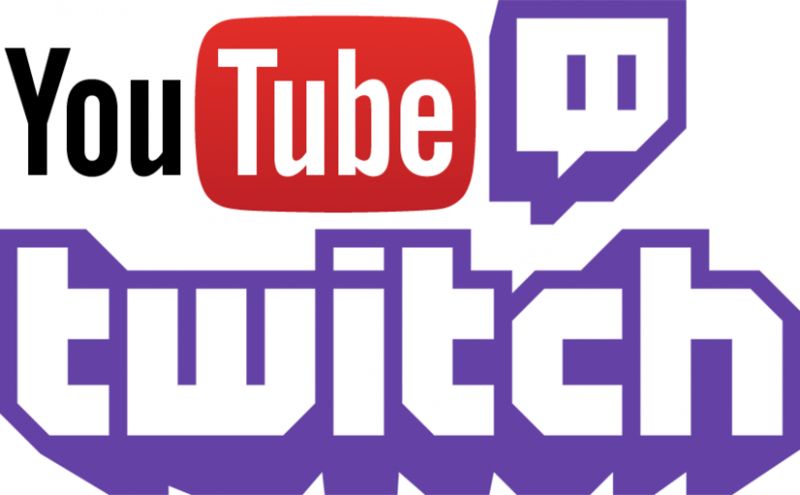 You can broadcast directly to Twitch.tv from the software, too. Some things to note about ShadowPlay, however, and this probably isn’t a deal-breaker for many, but it’s worthwhile to mention as we don’t like being biased at the expense of our customers. It has a slight negative impact on gaming performance, roughly 5-10% frames per second (FPS) loss is estimated. This may mean that you need to alter the settings you play at so that your recorded footage is smooth. For anyone starting out, this is a zero-cost way to get your foot in the door. Once you’re established and making money through either advertising or sponsorship, or both, you can look at updating your PC hardware and adjusting your recording process and software used – at this point we feel it would be worthwhile looking at Dxtory – or you could opt for a capture card. If you get to this stage, please email us and we’ll help you find the best solution for you! I hope this write-up has been useful for those of you wanting to get into game casting, and all of us at Evatech hope to watch your videos soon!